Cooking pans can come in different and many forms — two of which are what we know as metal and stainless steel pan. One important detail is the tendency of food to stick to a pan, that can depend on food — egg based dishes and egg are examples of food that naturally stick — and ultimately on the pan — non stick, copper, metal, or stainless — you use. Unlike other pans, stainless need some seasoning to be able to prep itself for some cooking sessions ahead. 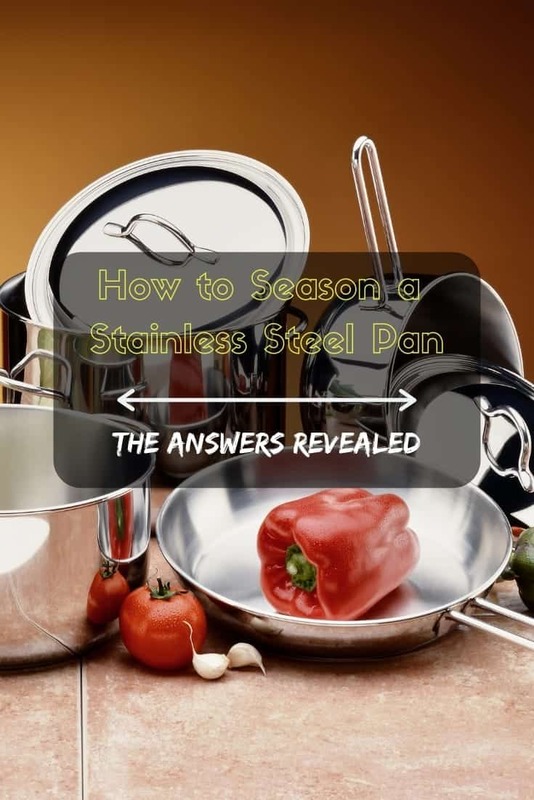 That said, we reveal to you the answers to how to season a stainless steel pan! A cooking pan or cooking ware is any type of container used inside the kitchen — for cooking or for baking. There are many types of this and can be divided into different classifications. A stainless steel pan is just a specific type of cooking pan. Primarily comes from animal, plants, or synthetic fat that is used in the kitchen for purposes of cooking and baking. 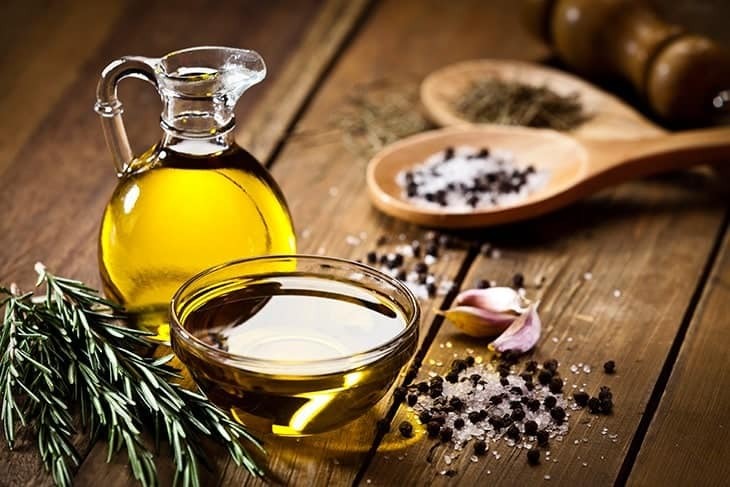 There are various types of oil you can find at the market such as canola oil, olive oil, vegetable oil, and corn oil — all depending on your neede and preferences. Oil is usually liquid at room temperature with the exception of coconut oil and some others. This is also known as a ranger, gas range, or cooker. It is a kitchen appliance that relies on direct heat for cooking food purposes. Oftentimes, it has an oven companion used for baking. This is a thermally insulated cooking device or appliance, also used for heating, baking or drying of a substance. Electric ovens are also available in stores now. They are ovens that depend, instead, on electricity to generate heat. This is an agent used for cleaning. 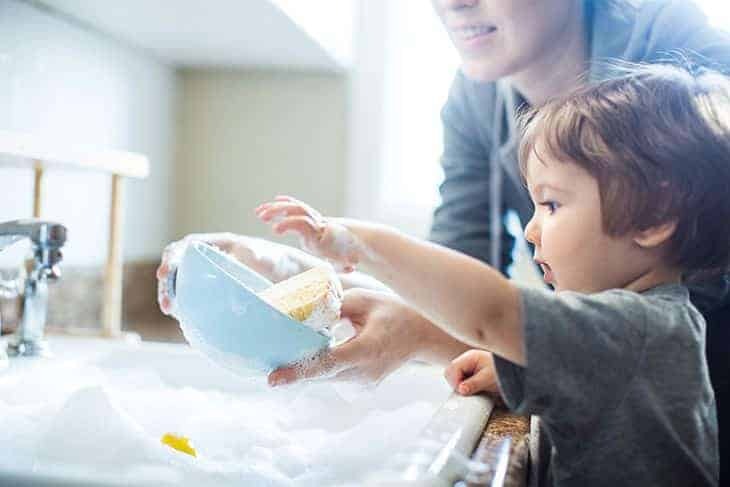 For the purpose of this article, you may use a dishwashing detergent that is primarily for washing utensils, dishes, bakingware, and cookingware. 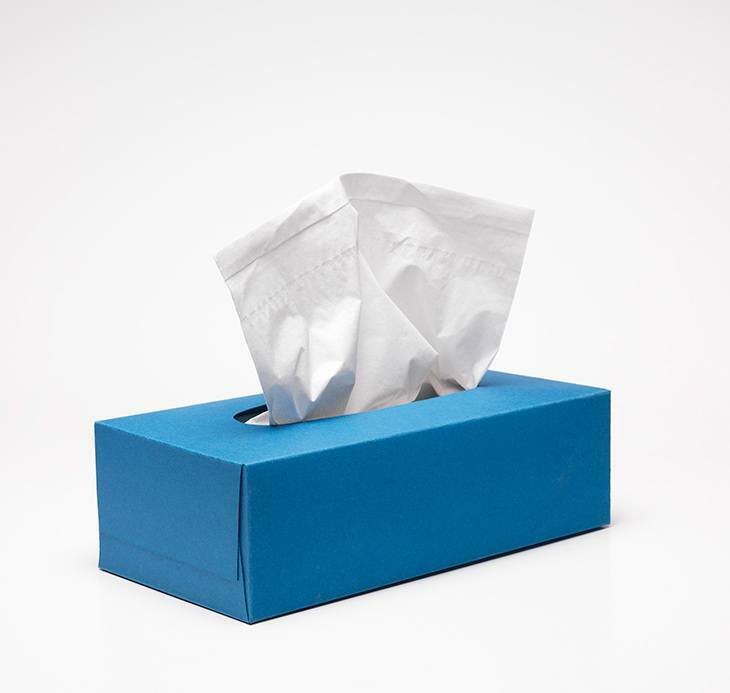 This is a disposable absorbent sheet of paper made from tissue paper intended for cleaning or wiping. Before anything else, always begin by washing your pan in a thorough manner. 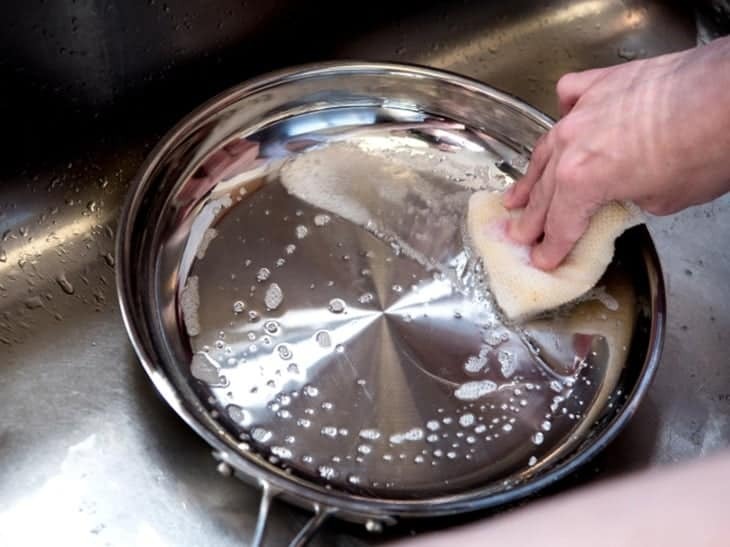 You can use any dishwashing soap or detergent and a sponge to scrub the outsides and insides of your cooking pan. After scrubbing, rinse with warm water and dry completely. Then pour some oil onto the cooking pan for some coating. Your oil can be any high heat cooking oil or high smoke point-oil such as coconut oil. Swirl your pan to make sure the interiors, with the inner rim included, are evenly coated. Follow the classic cold oil / hot pan trick.This basically means preheating the pan by setting your stove to medium heat. Allow it to stay there for a couple of minutes. 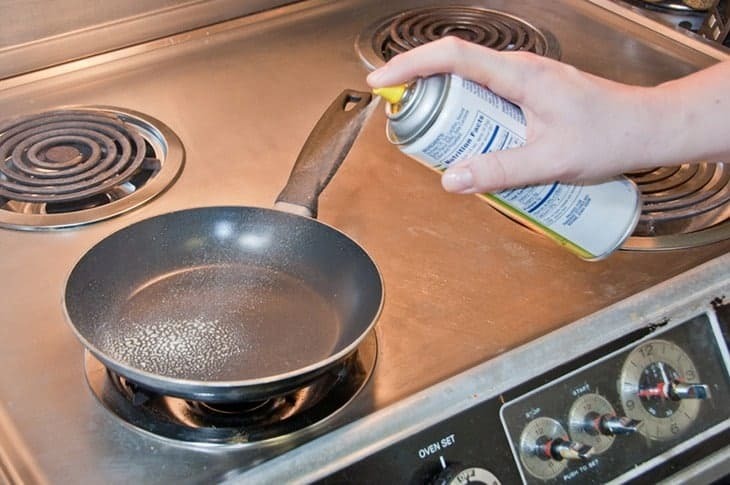 Remove the pan from heat once you can start the smoke coming off the oil. If however you happen to be using our oven, set your oven to 350 degrees and let it stay there for about an hour. 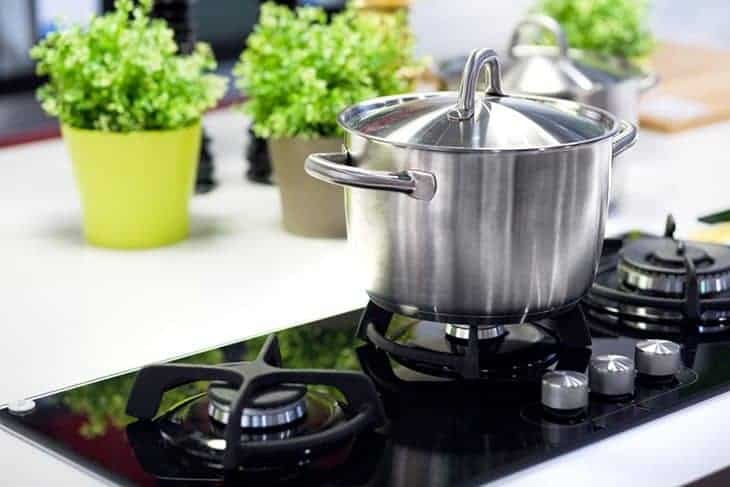 After removing from heat, let your cooking pan along with the oil in it stay out for some time until the oil has cooled to room temperature or until the heat is completely bearable. Using some tissue or paper towel, remove the oil by pouring out them wipe out the excess remaining oil. Follow the classic cold oil / hot pan trick.This basically means preheating the pan by setting your stove to medium heat. When preheating, only set your stove to a medium setting, nothing more. Then pour some oil before cooking your food or adding some ingredients or spices. Take watch over your temperature. 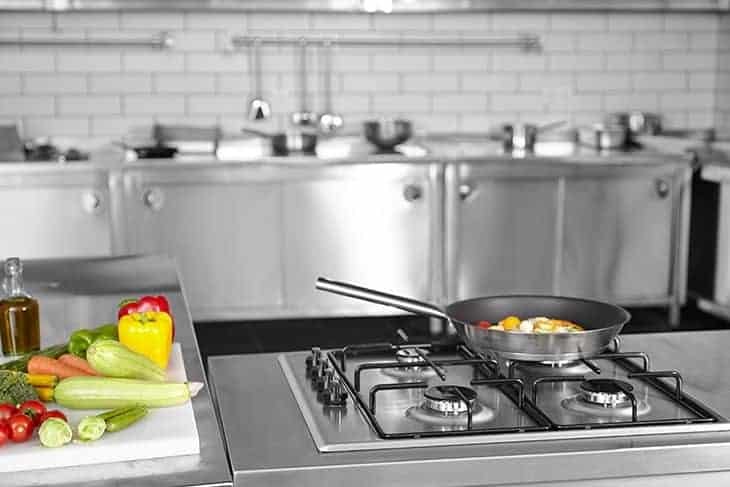 Your cooking temperature can easily affect your food’s tendency to stick to your cooking pan. When cooking over high heat, the tendency to stick and not to mention, burn, is also at a higher possibility rate. Opposites attract. That much is true for cooking a food that came straight out from the refrigerator. Allow ample time for your food to thaw and cool down to room temperature before cooking it. 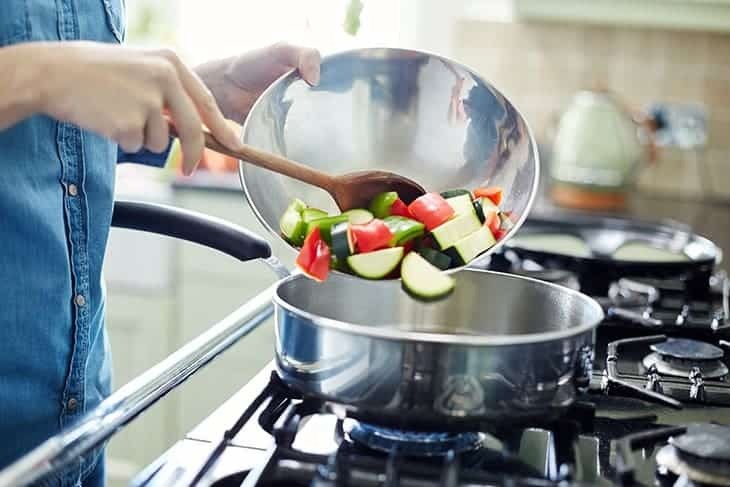 When cooking, make sure your cooking pan has enough space for all the ingredients, spices, seasoning and food you’re going to put inside and cook. Not doing so may cause your pan to overfill and to food to stick, as a result. After prepping your cooking pan as stated in the procedure with oil, avoid cleaning your pan with soap after every cooking session. As an alternative, wipe or clean your pan using any clean tissue or paper towel. If you are stacking your pans as a way of storage, consider putting in some paper or tissues in between your cooking pans. This will prevent your pans from further scratches. There is only one rule to this and that is to never use any sprays. Why exactly? This is because spraying has a big tendency to leave some excess residue on the pan which creates more stick. Your stainless steel pans are best match for cooking sauces or any water based food. Moreover, since non stick pans are not exactly compatible with acidic foods or ingredients, stainless steel pans work best with acidic foods. Many homemakers’ frustration is the tendency of the food to stick to pans. First of all, it takes time and effort to clean it off. The food that sticks to your pan may also cause difficulty in cooking the food. However, worry not, loves! Just remember to prep your pans, avoid soap as much as possible after, and to preheat your pans before cooking, and then you’re good to go! Hopefully, this article was a big help! 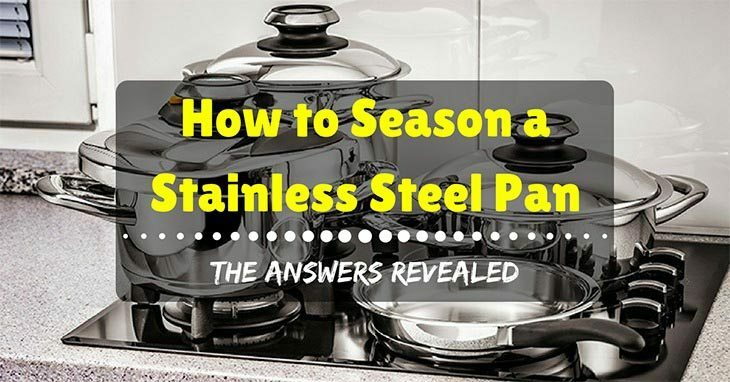 If you have some more questions or suggestions about seasoning a stainless steel pan, feel free to leave all them down below in the comment section! This internet site is my intake , real good layout and perfect subject material . Hi, I am a chef. I used many kinds of pan. But I face problem in use of different pan. I get total knowledge from your post about pan. From now I will use this pan. I am looking for pan review. Thanks for share your experience in cooking pan. I use cooking pan in my pan.